I'm staying at my parents house for a few days to help them out (my Dad was in hospital for a few days). This morning I took a shower; and there on the shelf was "Nivea For Men" shower gel. So I thought about this: what happens with these beads when they flow down into the water system? A little bit of research indicates that they are too small to be filtered out by the water processing system so they end up in the water system (streams, the oceans). Billions of the them all becoming part of the plastic waste problem. These beads are about the same size as fish eggs - which floating around our water system, are eaten by other fish. And thus become part of the food system. While also becoming a part of the massive plastic gyres that are killing our oceans. 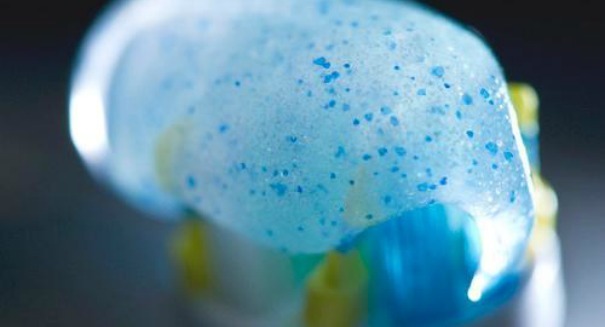 Given our belief that the impact of many people doing little things has a cumulative and massive impact, the first thing we can do is stop purchasing products that contain microbeads. While also calling on the skin care companies (after all they use "care" in their labels), to stop this practice. We're pretty sure that our skin won't suffer. And if you can't do without the scrubbiness exfoliating benefit you can always choose a product which uses natural biodegradable ingredients like nut shells or coffee.